Infertility is a growing problem in the US. There are many factors for this: high levels of stress, toxic environments, and starting families later in life all increase the odds of fertility issues. Or you may have a specific diagnosis, such as PCOS, reduced ovarian reserve, low egg quality, high FSH, irregular periods, anovulation, endometriosis, luteal phase defect, reduced sperm count and quality, repeat miscarriage or unexplained infertility. YOU CAN IMPROVE YOUR FERTILITY NATURALLY. It’s that simple. Whether you have a diagnosis or not, if you are trying to conceive and it’s not happening, you can improve your fertility. For both men and women, growth and development of eggs and sperm are under the control of varying concentrations of hormones, growth factors and nutrients. YOUR BODY is what is producing these components at any given moment. This is how we change your fertility: we improve egg health, improve hormone balance and concentrations, and improve brain-to-reproductive system signaling. Acupuncture and Chinese herbs work to balance and improve the health of all these systems through the medium of the nervous system and direct impact on hormonal levels. Your ovaries and follicles and uterus and endometrium are not walking around on their own. They are part of you, body, mind, heart and spirit. The power of Chinese medicine is working with the whole of you to create a healthy life and environment that will nourish your fertility. You will be learning a new way to think about yourself and health and life. This new way of looking at your life and fertility opens up new ways to resolve your fertility issue. Because so many factors impact fertility, we rebuild your fertility from the ground up. If you think of your health and fertility as a pyramid, your fertility health is at the apex: fertility represents the highest state of your health and wellbeing. Your lifestyle is the foundation of fertility health, and fertility is the sum of your overall physical, emotional, hormonal, and reproductive health. So how long does it take? We know that it takes 90 days to nurture healthy eggs. Why 90 days? An immature follicle develops into an egg in 90 days. Your 30 day cycle is actually the last month of egg maturation. This is true for both eggs and sperm! It takes 90 days for an immature sperm to mature, too. So it’s not just what you do during your cycle, it’s what you do for the 90 days before that creates the health of your eggs and sperm. That is why I created the 90 day Fertility Reset: in 90 days though addressing each of the levels in the Fertility Pyramid, through lifestyle changes, acupuncture, Chinese herbs and appropriate supplements, you and I in partnership give your fertility the foundation it needs. 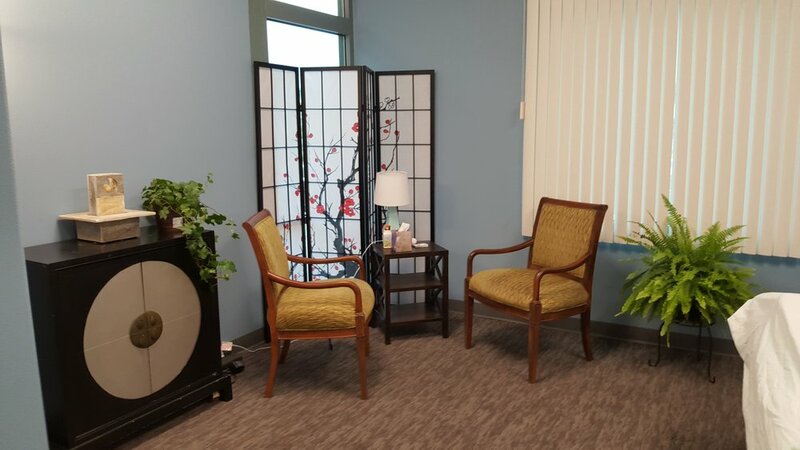 My program combines the best practices of Chinese medicine with the modern understanding of Western medicine. It can take longer than 90 days, depending on how depleted and out of balance each of the building blocks is. If you have a specific diagnosis, bringing your body back into balance and health can take time. And as much as I wish I could, I cannot guarantee pregnancy and a live birth at the end of this process. But research is clear that fertility acupuncture can double the chance for conception. Regardless, all my patients agree that through the whole process, they feel better: they have more energy, feel calmer, have fewer symptoms and feel less stressed. And overall, my success rates are in the 40-80% range, depending on your health and diagnosis. One of the worst parts about struggling with infertility is that you feel so isolated. It seems like all your friends don’t have problems getting pregnant, and don’t understand what you are going through. Many women just don’t say anything, because it hurts too much to talk about. So you struggle on, trying to figure out what to do. You aren’t alone, though it feels like you are, and there are ways to address the root cause of your infertility. All of the issues that I mentioned above: these are all diagnoses that acupuncture and Chinese medicine can address and often resolve. I know how hard fertility issues are; I suffered three miscarriages during the time I was trying to conceive. Please see my bio here to learn about my own struggles. Conventional fertility treatments are expensive, but they are not guaranteed. Furthermore, conventional in-vitro and IUI treatments work on a quantity orientation: getting more eggs improves the odds of success. No attention is focused on improving the quality of the eggs or sperm because there really isn’t a way for Western fertility treatments to do that. From a Chinese medicine perspective, infertility is the body’s way of saying that the couple can’t have a child because they are not in a healthy place physically, or something isn’t functioning properly. A healthy conception leads to a healthy pregnancy and a healthy baby. Refer back to the Fertility Pyramid: Chinese Medicine helps balance your whole body so your fertility health is at its peak. For some couples, IVF is the right option; other couples would prefer to address fertility in a more holistic way. Either way, the success of conventional fertility treatments is improved by doing fertility acupuncture first. By resolving underlying imbalances in hormones, nutrition, stress, or health, the health and quality of your eggs and sperm improves. Acupuncture and herbs do not work like conventional medicine: they do not “force” the body to do anything, nor do they override the body’s natural reactions. The specific mechanisms are through improving egg health, improve hormone balance and concentrations, and improve brain-to-reproductive system signaling. Acupuncture and Chinese herbs work to balance and improve the health of all these systems through the medium of the nervous system and direct impact on hormonal levels. They work with the body, using the body’s own wisdom and healing power. The benefit of this gentle, whole-body approach is that you will feel better all over. Treatments will address your specific imbalances, and they will strengthen and nourish all of you. If you go into conception healthier, it improves the likelihood of a healthy pregnancy and healthy baby, too. If you are interested in improving your fertility in a natural, safe and effective way, please give me a call. I schedule a 20-30 minute free telephone consult so you can tell me about what is going on, and I can explain how I can help. If you want to know how the 90 Day Fertility Reset process works, and to set up your initial appointment, please call 702-539 9185 to schedule now!